thebakerwhocooks.net | Happy New Year! Happy New Year to all of you! Hope you had a great year and I wish you all the best for the brand new year. I actually have loads to blog about because I’ve been busy in the kitchen cooking up a storm. 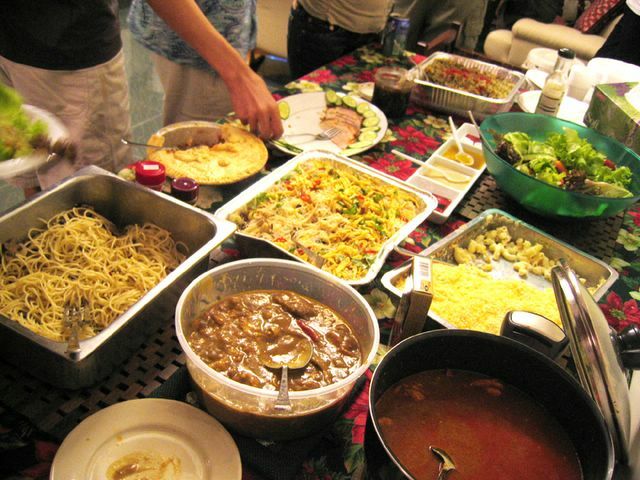 There was a scrumptious spread at the New Year’s Eve celebrations at Claire’s place with my dear fellow Amplify members. I love them to bits. And it was a pot luck so i made Mac & Cheese, Tiramisu and Bailey’s Irish Cream Truffles. That’s not all. I cooked Japanese curry for lunch too… And oh a cake, but more about that later. I promise to post about them all soon! Meanwhile, have a great day and year ahead guys. 2006 is gonna be great! Yummylicious potluck!!! Can’t wait to hear more about it! hahaa happy new year to you too!! !